It’s been a while since I’ve had great Chinese buffet, so when I discovered Yoki Buffet and all its delicious offerings, it’s hard not to tell everyone bout it! 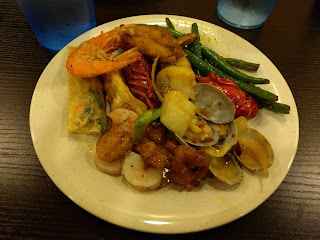 So here’s a flash review, since we all know what to expect at a typical Chinese Buffet. 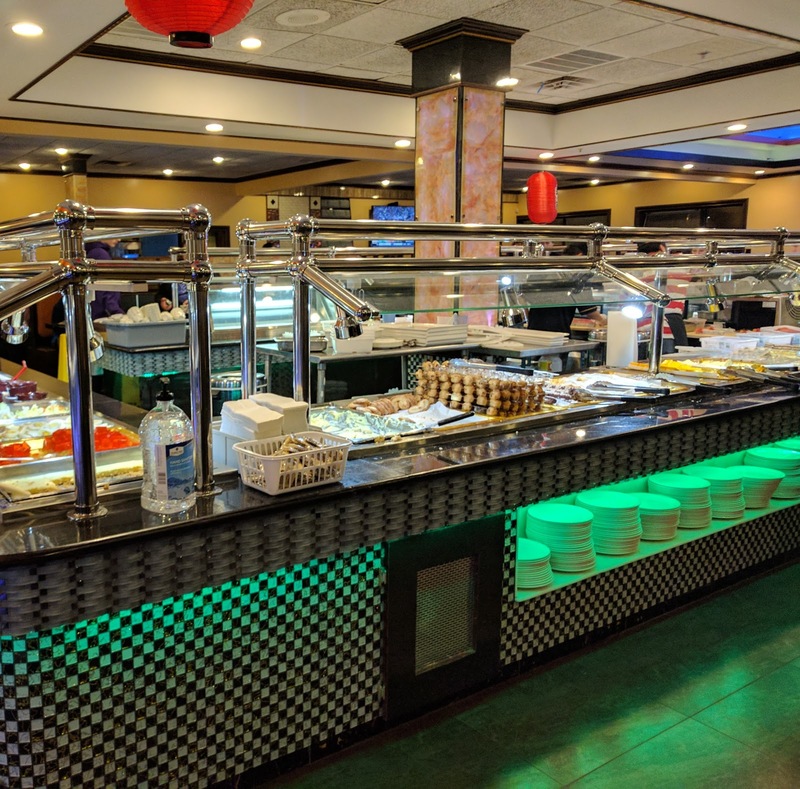 Yoki is located in the old Hometown Buffet right off of Blankenbaker Parkway, next to Ruby Tuesday. The restaurant is spacious so plenty of space if you’re coming with a large group. The sitting area is sectioned off into different rooms so you don’t feel too crowded. Confession: I come to Chinese buffet mostly for the seafood because they are expensive elsewhere and you really don’t get a lot of it. Trust me, most Asians do this :) So that’s my first priority, everything else is your typical Chinese fare. 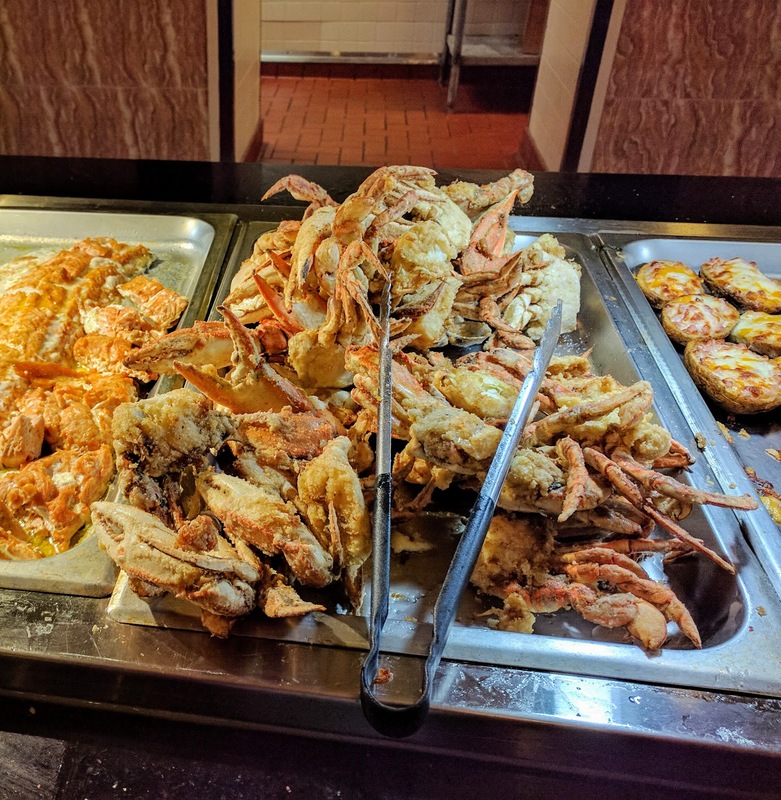 Seafood: The winner for me here is the blue crabs; they are large, meaty, fresh and lightly dusted with flour, seasoned and stir fried. The best part, on a busy night, they bring it out constantly. Craw fish is fresh but on the small side (I think because it's the beginning of the season), a little light on the seasoning so you might want to make yourself a dipping sauce. I don’t do raw oysters, but they were piled high by the sushi bar and fresh looking. The saute shrimps were large and delicious. Sushi: On a busy night, the sushi is made right in front of you, so ingredients are fresh and the rice soft. Yoki offers more varieties than other places and my husband heartily approved. Mongolian grill and noodles: Have your Mongolian stir fry or noodles made on the spot. Lots of fresh ingredients to choose from. 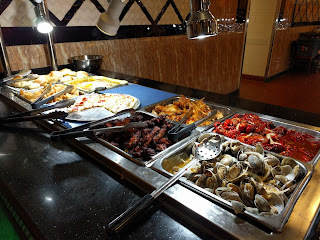 I skipped this section to make room for more seafood in my belly. 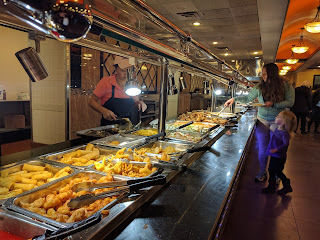 Everything else is good, a notch above all other Chinese buffets in town. Even the chicken tenders, which we find to be dry in most places, are actually well flavored, tender and moist. The best thing is that everything is fresh and plenty. A bit of everything to try. 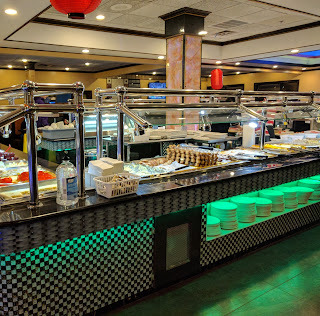 *note that the seafood (crabs, oyster, craw fish, clams, and a large portion of the hibachi bar) is only available at dinner time. 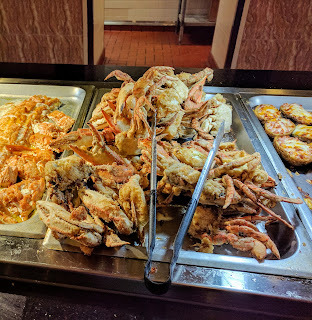 Crabs is available at dinner time, Friday - Sunday. They have a young service staff that’s eager and friendly, quick to refill drinks and clear the table. Come at peak hours, usually dinners on weekends, and the food is made fresh and your favorite items replenished quicker. The downside, there is a bit of a wait before you are seated. Or come right when they’re open, so you know for sure the food is fresh. Don’t fill up on carbs, such as noodles or nice, unless they are amazing. That way you have room to try a little bit of everything at the buffet line! Come check it out while it’s still new and eager to impress its customers. 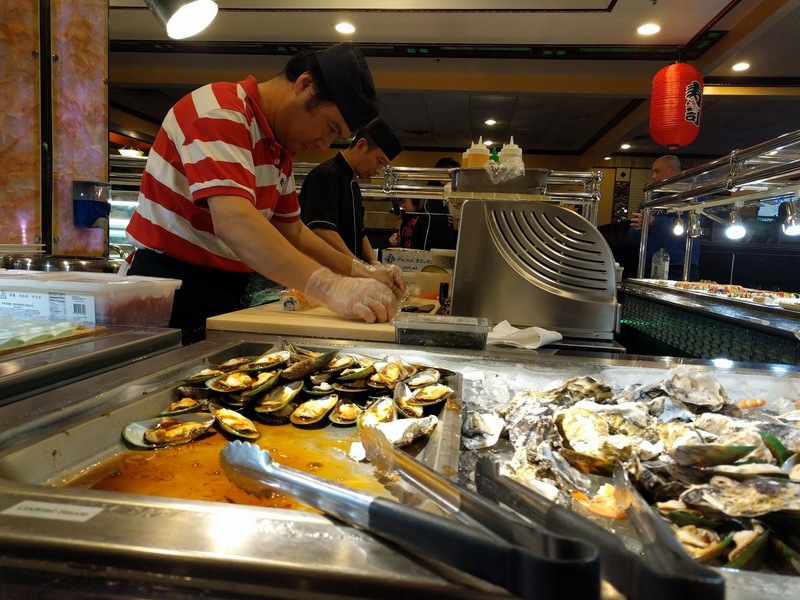 Sadly at most buffets, the quality tend to go down after the first few months, the now closed Umai Zushi Buffet out east is such an example. 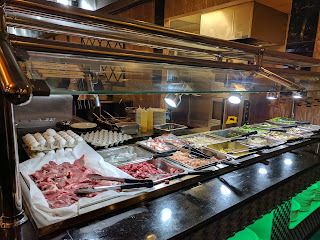 Yoki is my new go to buffet and I hope its quality stays consistent long after the opening period.